Does Air Lift 59544 fit your vehicle? 59544 is rated 5.0 out of 5 by 1. 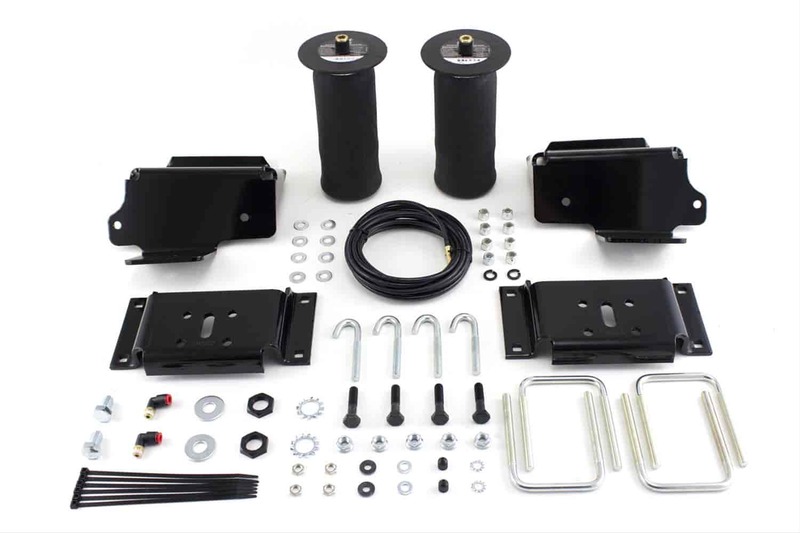 Rated 5 out of 5 by offthebeatenpath from Great product for the cost I installed this kit on my 07 f150, other than having to cut down some of the universal length bolts, the install was fairly straight forward. As for the function, I haul a single axle camp trailer that has a pretty heavy tongue weight along with an atv in the bed of my truck. Rather than purchase an expensive and complicated compressor system, I simply put ten pumps on each valve stem using my bicycle pump and that gives me 50psi, perfect for my needs. Much more versitil than a load leveling hitch.